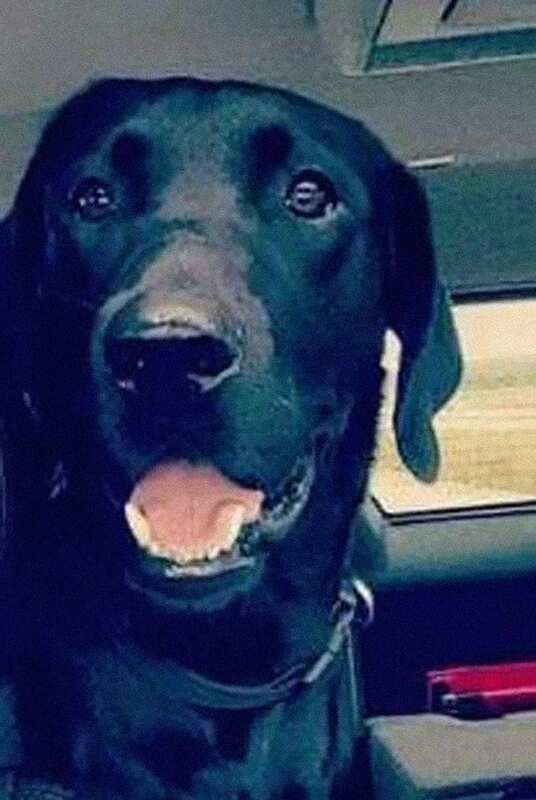 Bo the Black Lab is a big, goofy dog who loves two things more than anything else: his family and going on adventures! Usually, Bo is happy to simply accompany his family, the Kriers, on adventures—he doesn’t feel any need to go off on his own. But one day, he surprised the Kriers by slipping out of the house and running off. 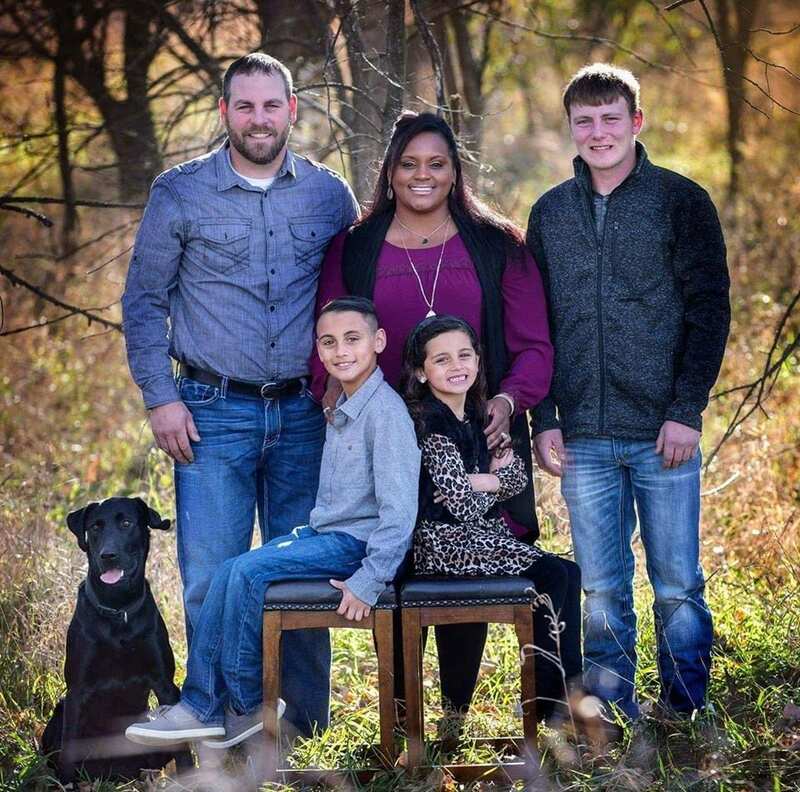 The Kriers live in rural Kansas, and they knew Bo could easily get lost out in the fields. And so, they began searching for him everywhere. The Kriers looked for Bo until it got too dark for them to see anything. 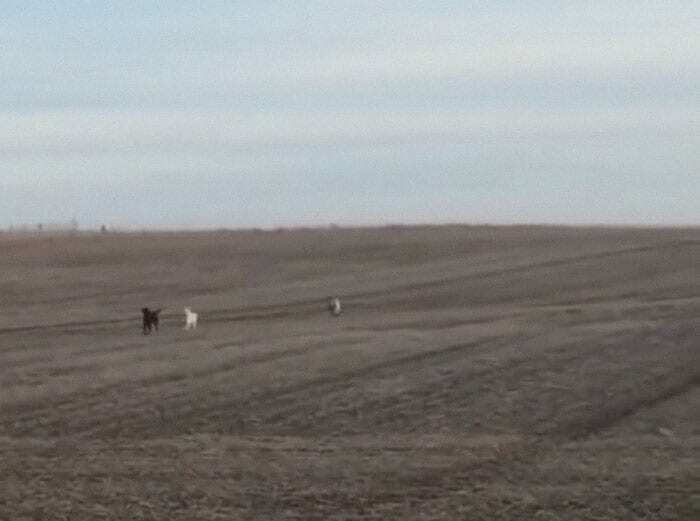 Then, they headed home, worried and hoping their beloved dog was okay. 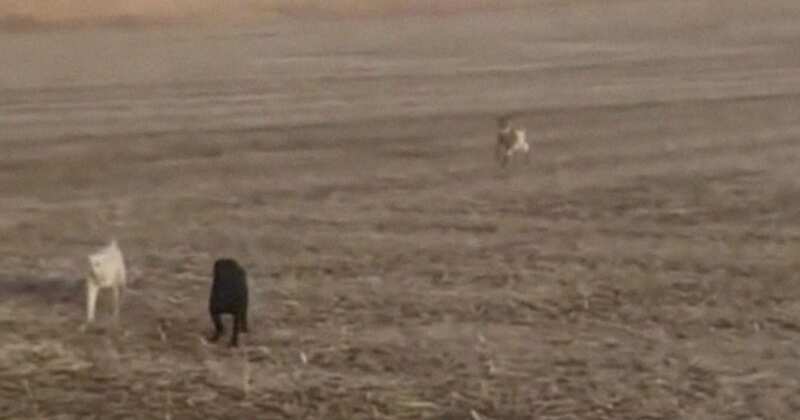 In the morning, the Kriers received good news: someone had spotted a dog that fit Bo’s description in a field about six miles from their house. Kyle Krier drove out to the field, excited to be reunited with his dog. Sure enough, when he got to the field, he spotted Bo’s familiar black shape in the distance. Kyle called for him, and Bo started running. And to Kyle’s surprise, Bo wasn’t alone. 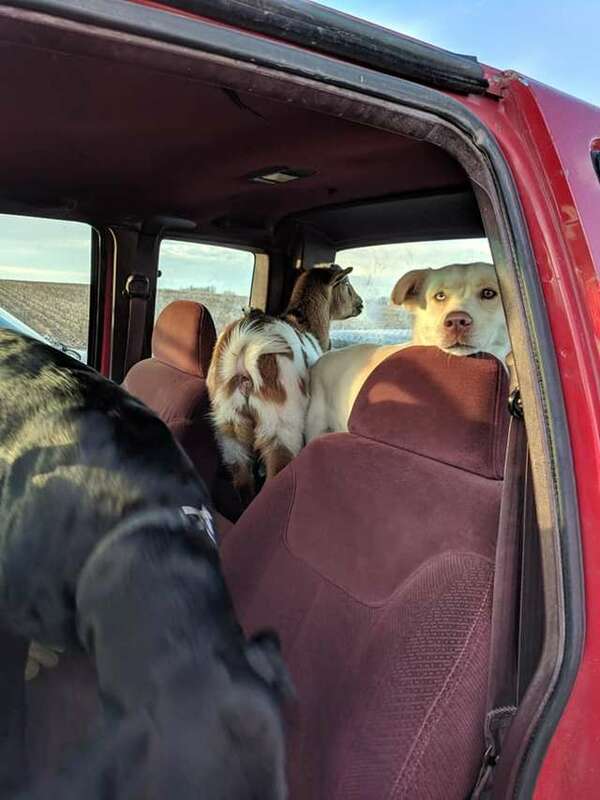 Another dog and a goat followed Bo to Kyle’s car. Kyle invited all three animals to jump in. Kyle shot a hilarious video of Bo, the other dog, and the goat running to his car. You can hear Kyle’s surprise in his voice as he realizes who’s with Bo! 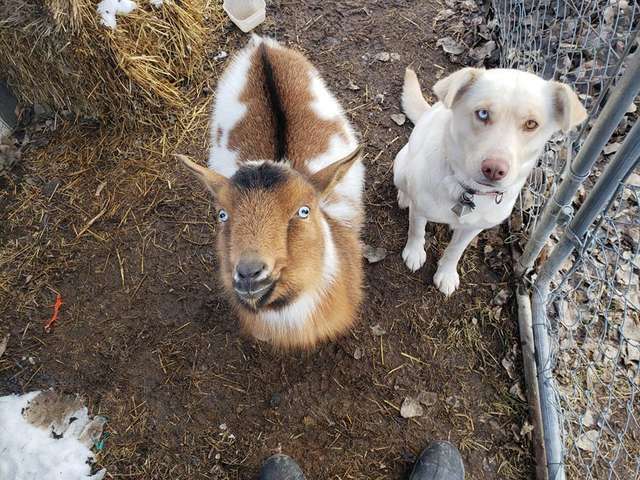 It turned out, the Kriers actually knew the other dog and the goat. Both animals belonged to a woman named Shawna Huggans. She had been looking for the pair, Libby and Ozzy, all night. She was so happy when Kyle called her and told her he had found her animals. All three animals are now back in their homes, and their owners are able to laugh about what happened. Bo is a cute dog who isn’t afraid to cause a little mischief! If you want to see the hilarious moment Kyle realized his dog wasn’t alone, check it out below.